Costing a vastly larger sum of money than the Triple Six Fix, yet not as infamous in the lottery world, the Milan Lotto scandal ended up losing out on $174 million in scammers’ money, despite arresting nine individuals for their involvement in the Lotto scandal. 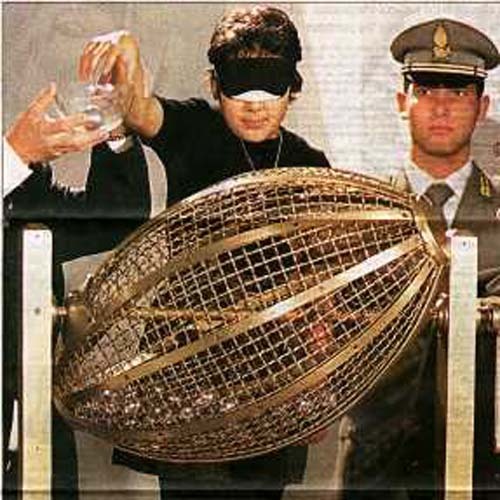 The Milan Lotto involves the use of blindfolds when drawing their numbers. By blindfolding children and having them choose which numbers to pick from the silver balls located in a spinning drum, they believed their number-drawing method was void of all such scandal. Using this method, frauds, scammers and gang members would take advantage of this drawing by tampering with the balls and bribing the children to learn to squint through their blindfolds. With some balls marked, some heated, some frozen and some even sprayed with a more glossy coating to stand out from the others, the bribed children were easily able to identify the specific numbers to choose from the spinning drum. As this means of scamming had continued over the years without any identification, the Milan Lotto slowly yet steadily ended up out of pocket in a big way. 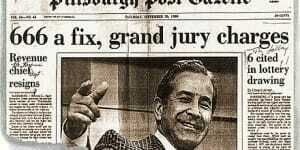 This scandal persevered from 1995 to 1999. Following the revelation of the Milan Lotto scandal, the lottery sales have understandably decreased significantly in Italy. To remedy this lottery drawing issue, many reformation requests have been made to transfer the drawing of the numbers to a computer system which would automatically draw random numbers. Though this seems suitable, the requests have been ignored due to a potential involvement of several powerful people behind the ongoing Milan Lotto scandal. Such people may end up having access to the computing algorithms, the resulting numbers and other such aspects which would again cost the Milan Lotto greatly. How were the conspirators found out? Looking into the children’s involvement, a pattern was discovered; many of the early teens were related to the tax officials that were ensured with the protection of the lottery’s honesty. Three of the tax inspectors were arrested having been thought to have masterminded the five-year scheme, each being charged with criminal association and extortion. The other six people arrested included three individuals that had supposedly belonged to a gang of criminals in the southern city of Bari. These three joined a racket and began to blackmail the officials to continue the scandal according to the state TV and other news reports. The other three people were also involved, but had little or no involvement in the gang yet they still blackmailed and bribed the officials. Once the investigations started, the police of Cinisello Balsamo began to notice that many of the locals were winning at surprising rates. Too suspicious to pass up on, the police seized $1.2 million in winnings obtained via fraudulent means, explaining that they were likely to widen the investigation continuously as the pattern became apparent.